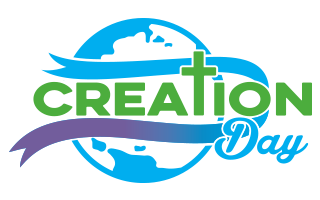 Post in Creation Day and tagged bible, Biblical Creation, creation, earth, environmental stewardship, Garden of Eden on September 26, 2015 by Taryn. For those concerned with creation care, the Green Bible couldn’t be a more fantastic idea. Christianity has often been berated for failing to live up to the ideas of stewardship and responsibility for creation that the Bible encourages, but the Bible has now gone green – and it calls us to our responsibilities. The Green Bible is an English version of the Bible, with a concern for the environmental teaching in the Old and New Testaments. Similar to the Red Letter Bible, the Green Bible highlights verses in green, which focus on the environment. In print since 2008, The Green Bible is a comprehensive study Bible that features essays by prominent theologians and environmentalists such as N.T. Wright, Wendell Berry and Pope John Paul II. The Green Bible has also been officially endorsed by many environmental groups including the Sierra Club, The Humane Society and the Eco-Justice Program. The Green Bible aims to encourage readers to see God’s vision for his creative work, and to help engage humanity in matters of environmentalism. The inspiration for the Green Bible originally came from the desire to produce a specialty Bible that centres on issues of sustainability, stewardship and creation care. Because the Green Bible is designed to be a study Bible, it features a ‘green trail study guide’ which directs readers to verses which are germane to issues of environmentalism and creation care, as well as a topical index to help readers find verses pertaining to specific subjects. As well as being focused on ‘green’ issues, the Green Bible is printed on recycled paper using soy-based ink. The cover is also designed from renewable cotton linen. ‘Green’ can be traced throughout the entire Bible – from creation to new creation. We see green in the Garden of Eden, in Noah’s olive branch, in the parting of the Red Sea, in Gethsemane, on the wooden cross and in the new heaven and new earth. The Green Bible reminds us that as Christians, and as people, we are called to care for the earth because God cares for the earth, and because God cares deeply, for all things green.